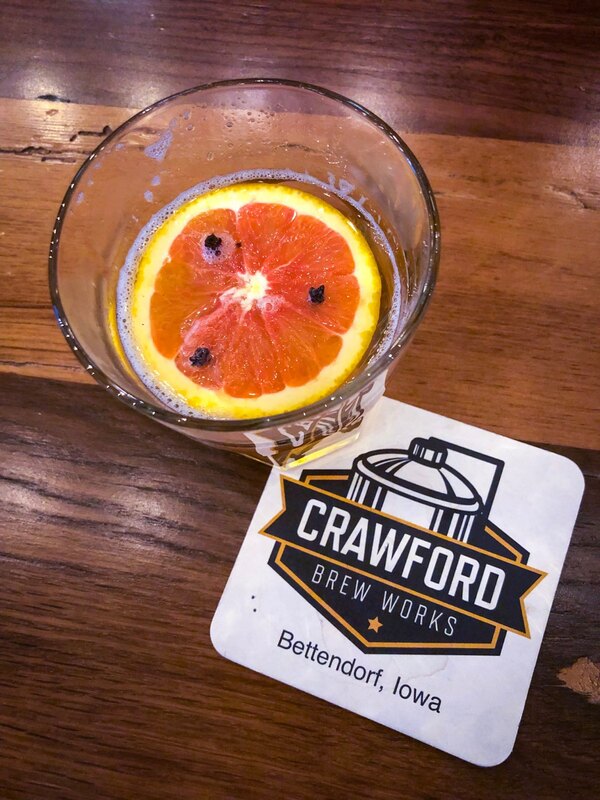 Crawford Brew Works is a micro-brewery and taproom located in the heart of Bettendorf, IA. 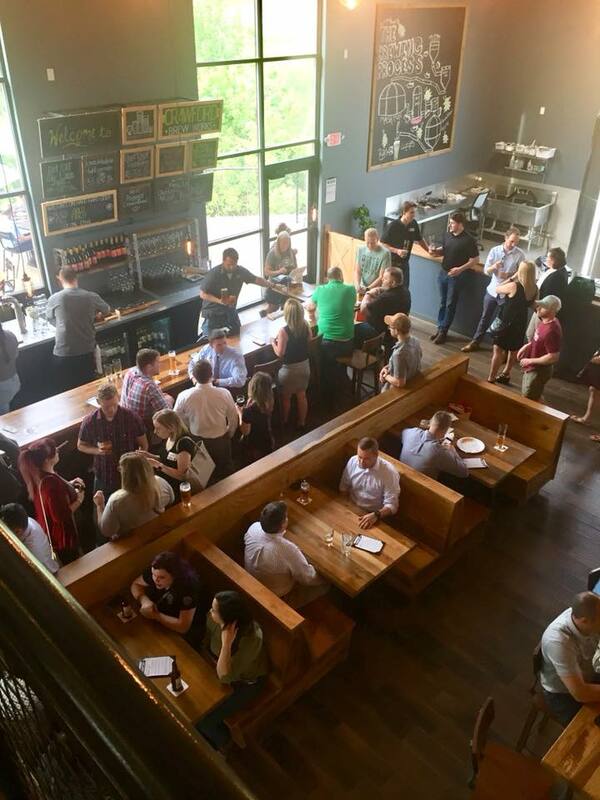 The taproom occupies 3500-sq. ft. of space on Devils Glen Road, near the intersection of Tanglefoot Lane. We brew your favorite craft beers, seasonal beers, and some brews you might never expect. 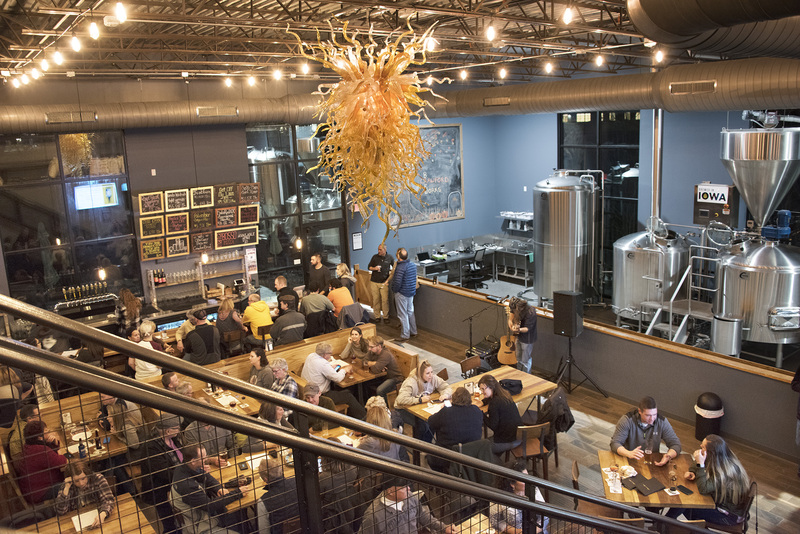 This is a perfect brewery to come grab a pint with friends or family. 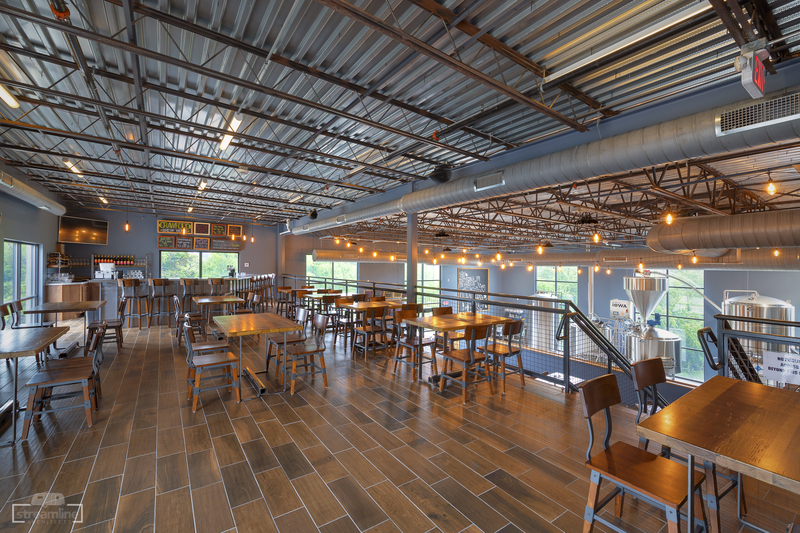 Our main floor offers lounge and table seating for you to relax with your favorite brew. 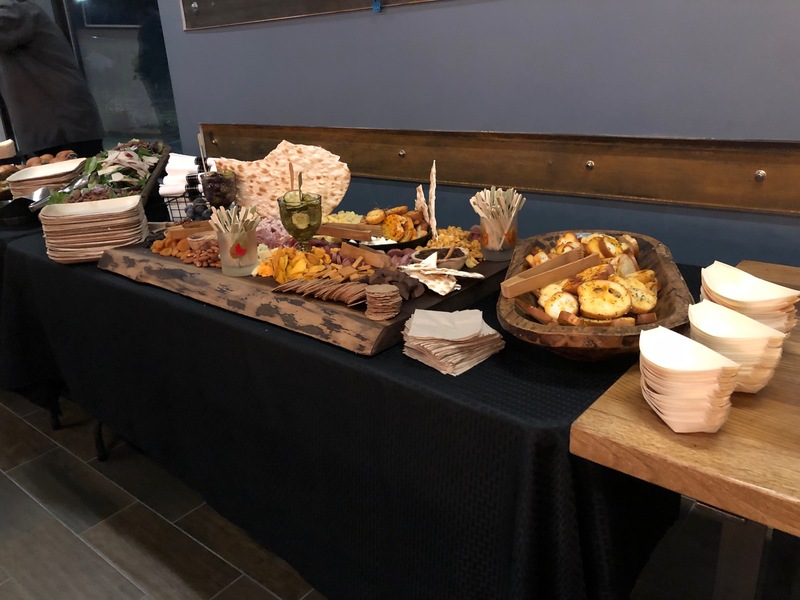 Our top floor includes its own bar and can be rented out for events. 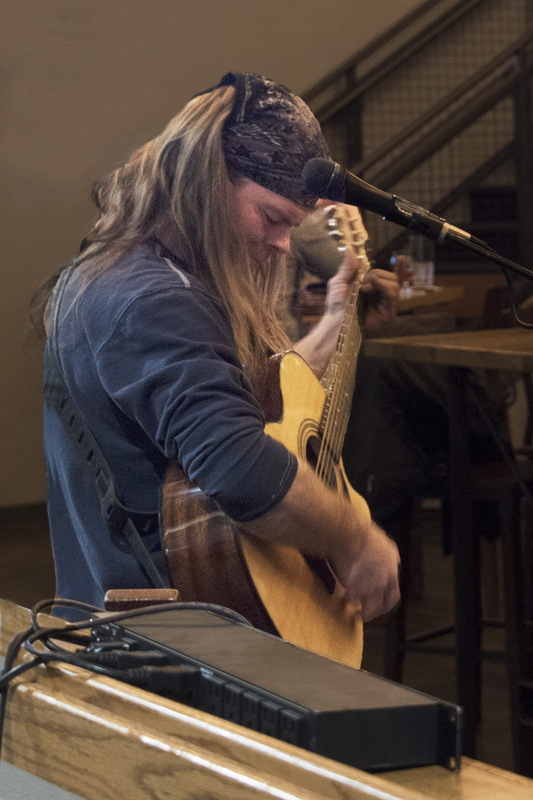 Our bar is kid friendly as long as they are accompanied by an adult. 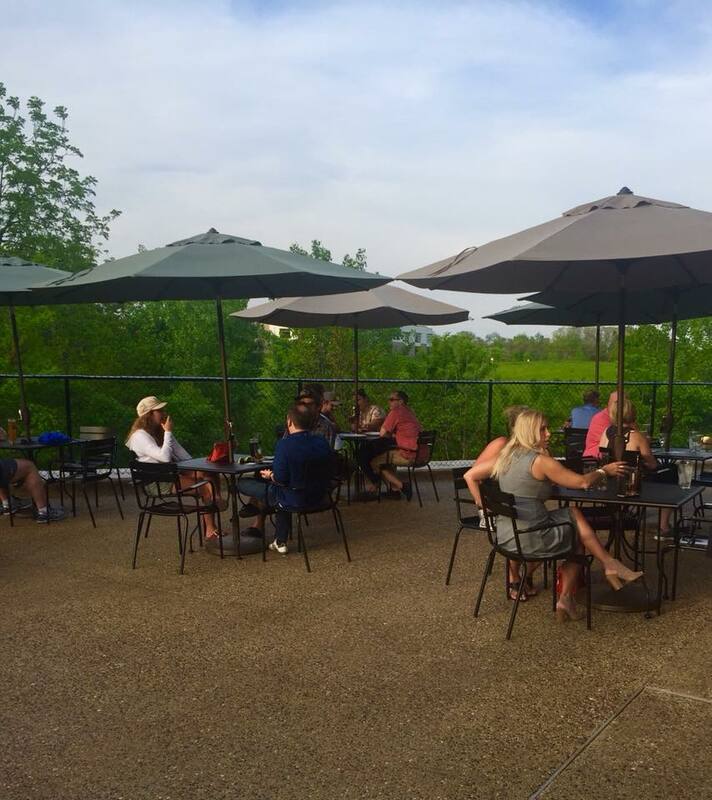 Our patio offers a beautiful view, is dog friendly, and has a fire pit. Hungry after a couple beers? We have a rotation of food trucks from your favorite Quad Cities vendors to feed your appetite. We also proudly serve local Mama Bosso's Pizza. The facility also features a lower level production area. 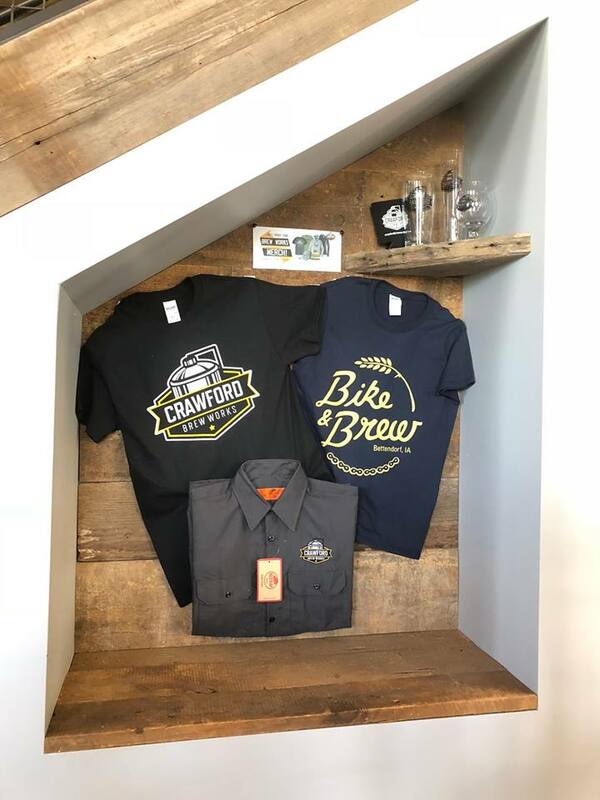 CBW is located at the "Bike and Brew" location, along with next door neighbor Healthy Habits Bike Shop. Grab a beer while your bike is being worked on! 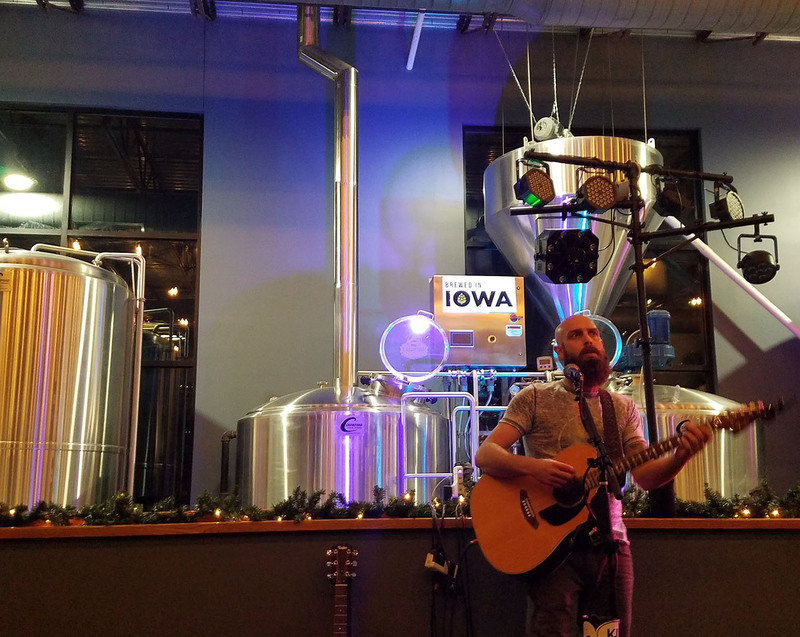 CBW is a member of the Iowa Brewers Guild and the Brewers Association. Are you looking to book a private party in our upstairs? Click the button below and let us know how we can help you. Also, our Employment Application is located below. CBW is located at 3659 Devils Glen Road in Bettendorf, IA. The site is just South of Tanglefoot Lane in the heart of the city. The site also has access to the Bettendorf Bike Path. 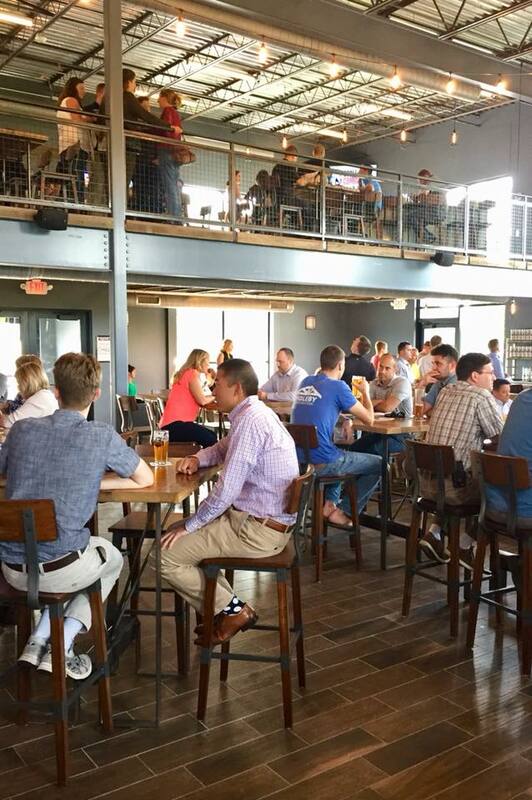 CBW joins a Quad City market that features some of the region's top micro-breweries. The location is near Interstate 74 and Interstate 80. 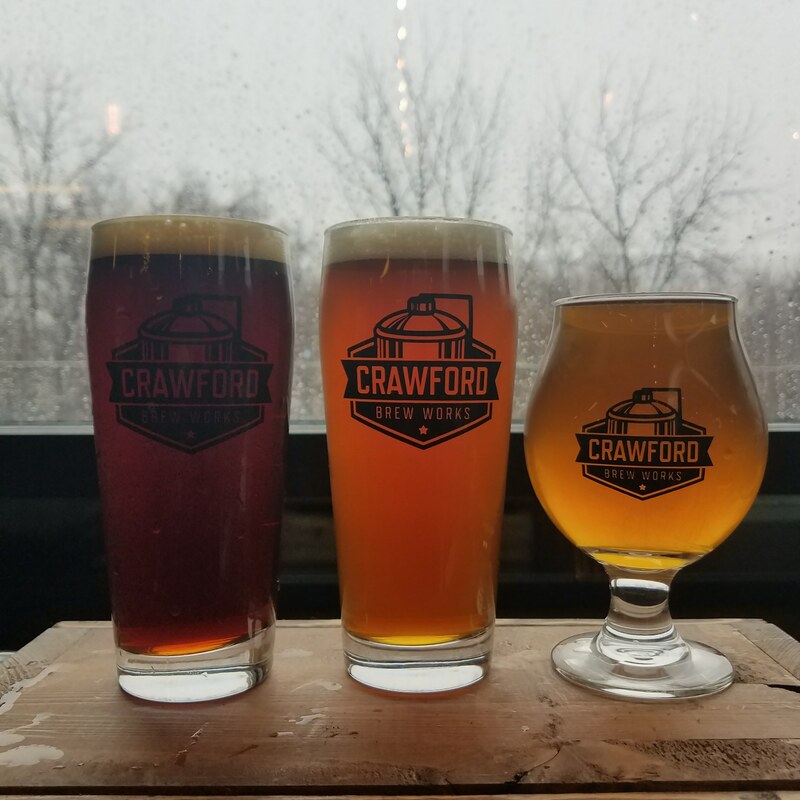 A brewhouse and fermenters from Crawford Brewing Equipment are featured at CBW. The equipment is 100% Made in the USA, manufactured in Rock Island, IL. To learn more about the equipment visit www.brewtanks.com. 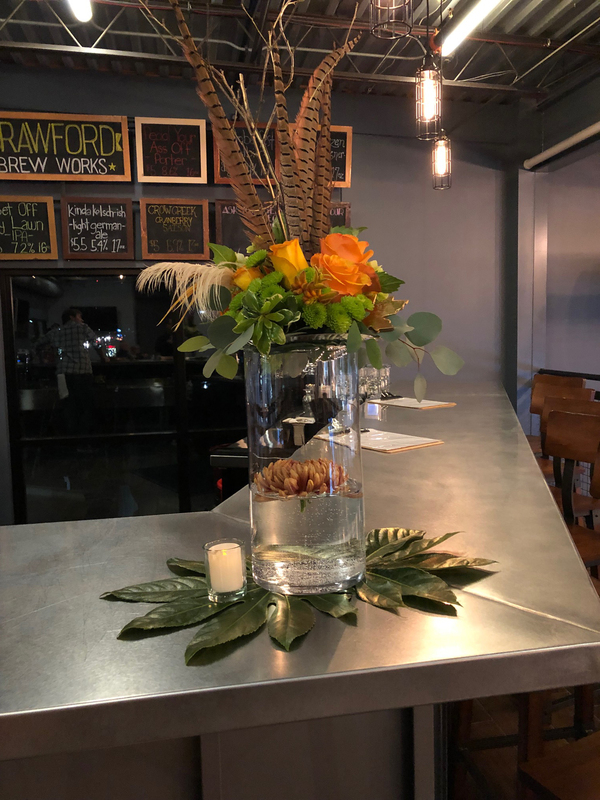 Crawford Brew Works is eager to connect and serve our customers through social media, and email distribution. Let us know how we're doing and what we can do better for you. 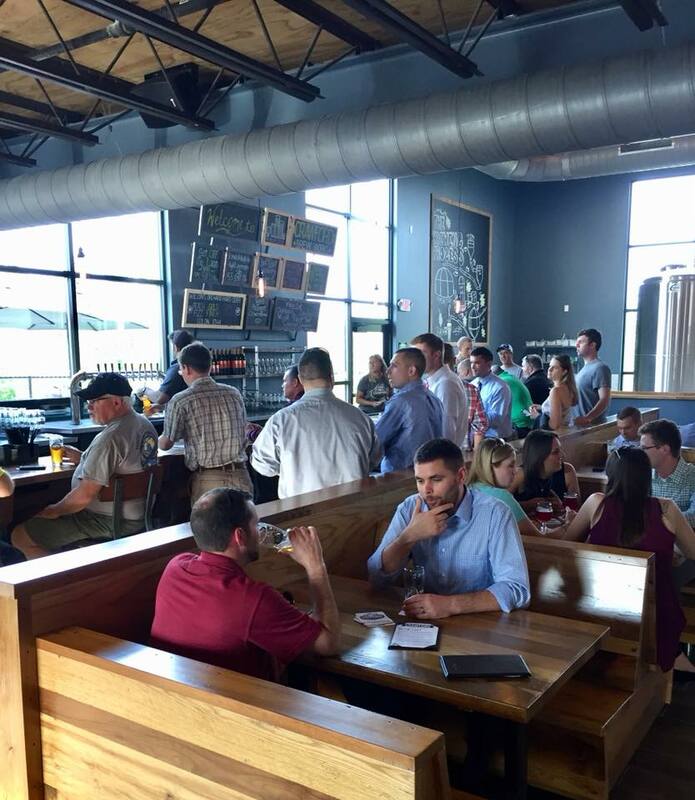 CBW hosts a number of events centered around special releases, brewery events, and private functions. To view a calendar, click the "Events" tab on this website. To learn more about private rentals, click the "Book Events" tab on this website. 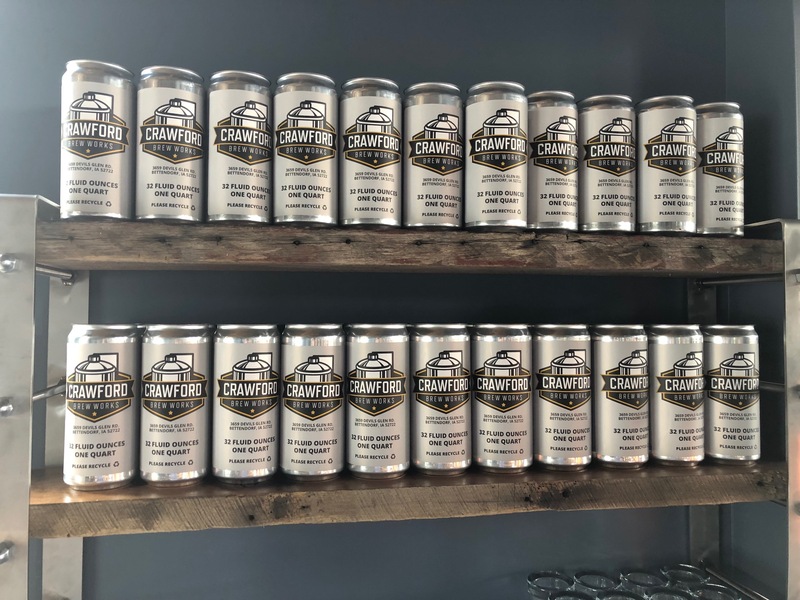 CBW offers flagship beers and seasonal options! 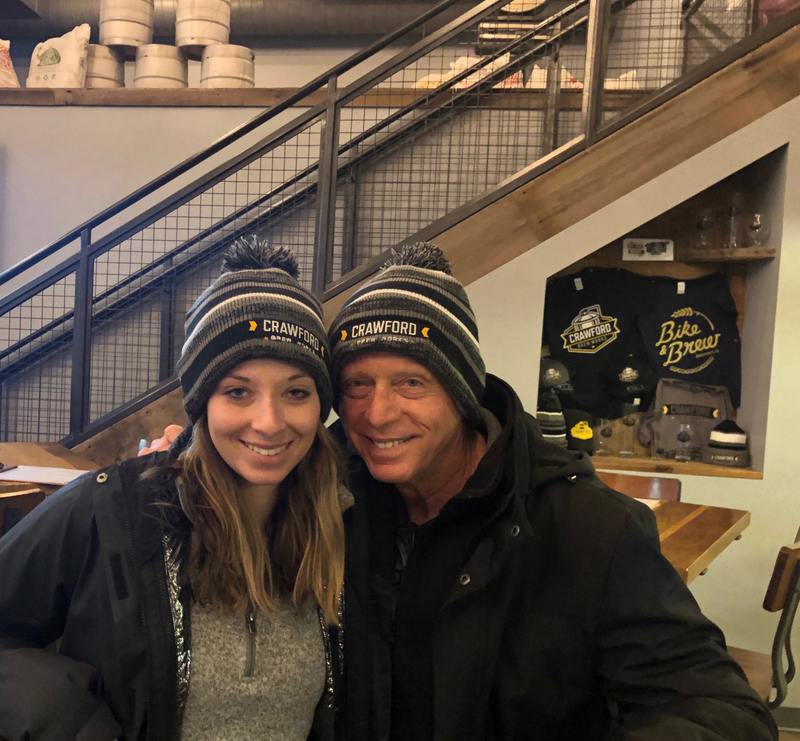 We offer a wide range of styles, to view the complete list click "The Brews" tab on this website. We're sure that you will love our craft beers. 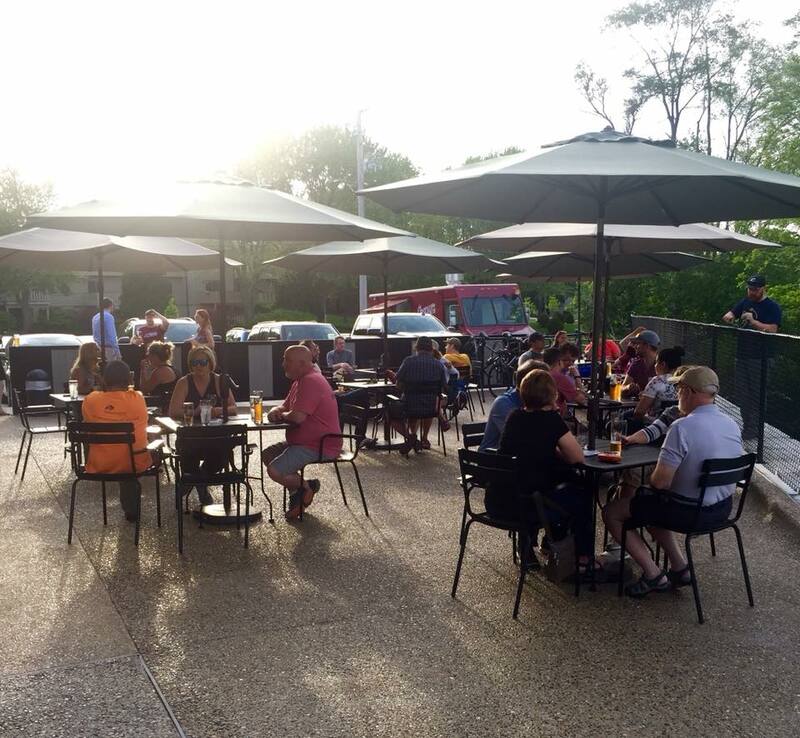 CBW also offers wine, cider, mixed drinks, and soda.